The client desired a modern design with a strong contrast of light and dark textures. 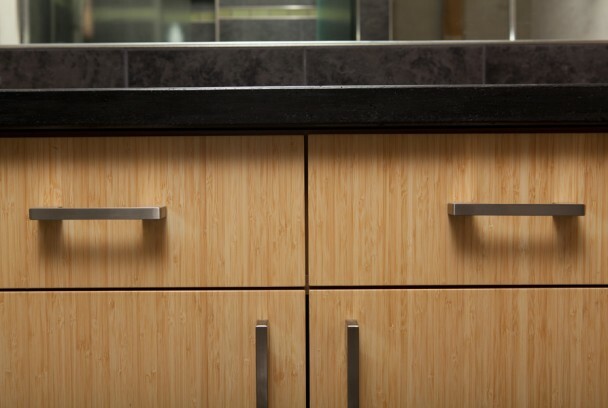 The cabinets were fabricated out of vertical grain natural bamboo. 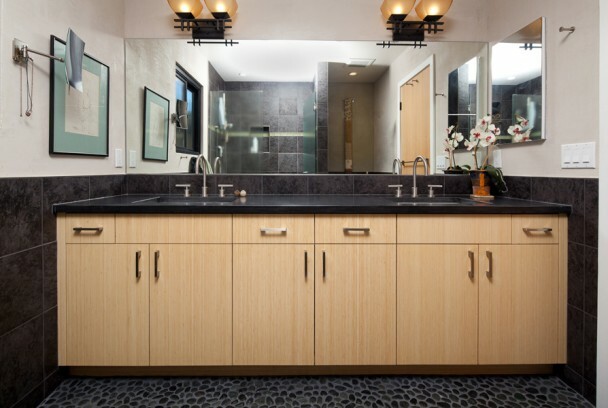 Notice the offset drawers at the sink boxes to accommodate small toiletries. 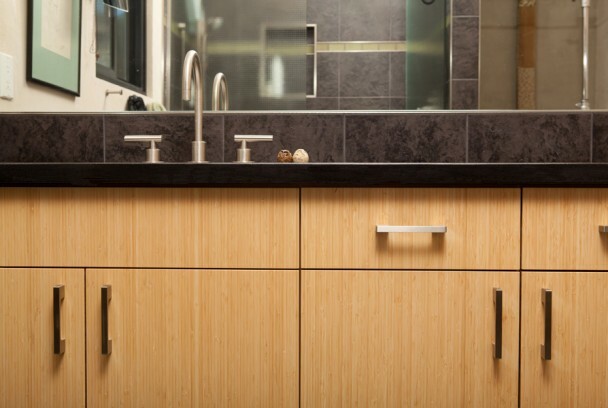 Stainless hardware and fixtures compliment the simple cabinet lines. Other eco friendly building materials include materials derived from recycled sources, Squak Mountain countertops and Crossville tile. Recycled glass pebbles finish off the bathroom with a soft feel below one's feet.